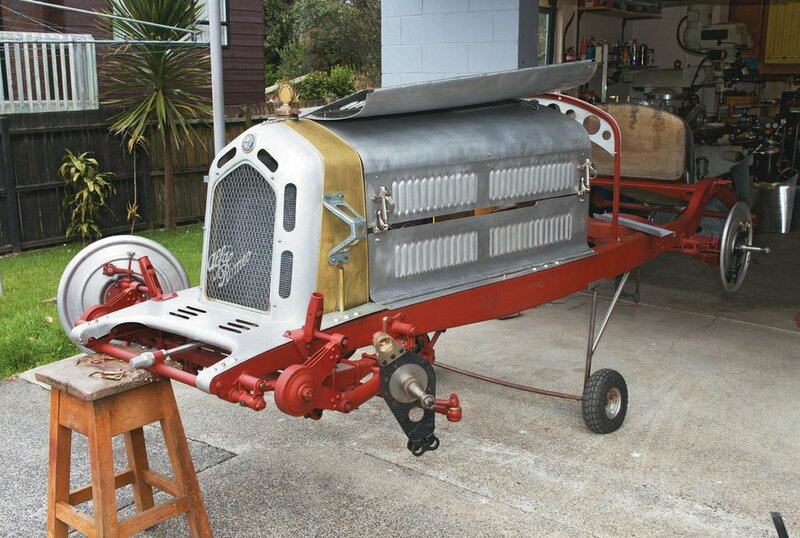 The body of a classic Alfa Romeo 8C takes shape in a Kiwi backyard. The Alfa Romeo 8C Monza has a place in many people’s dream garage. 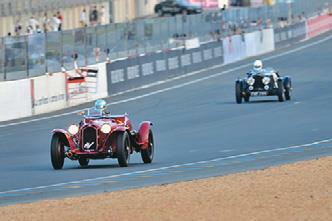 The 8C dominated motor racing in the early 1930s and was the epitome of the pre-war era of automotive design. A 2300 cc to 3800 cc straight-eight supercharged engine ﬁtted to a light and nimble chassis, the Alfa Romeo 8C Monza sped to the forefront of motor racing when launched and in the hands of racing legends such as Tazio Nuvolari it remained competitive for many years. 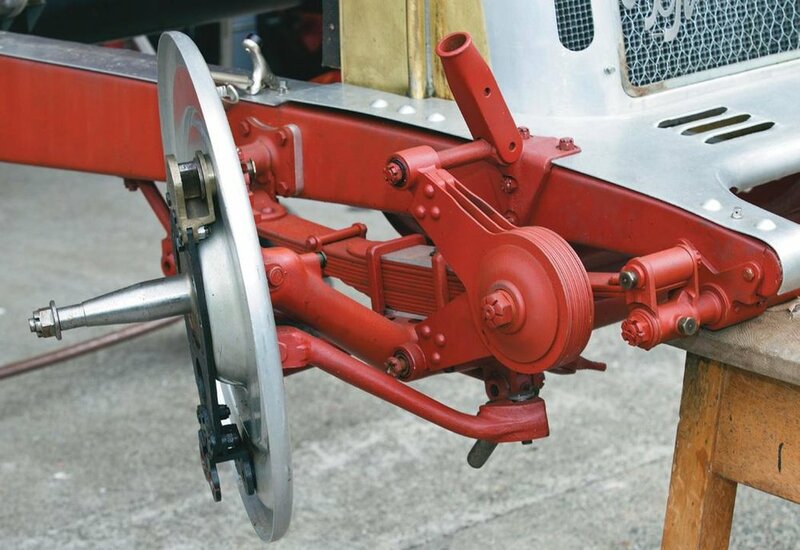 Very few 8C Monzas were built and the originals are highly Steel axle being cast. prized. 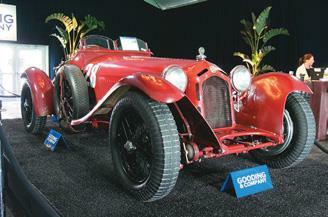 Last year, a 1933 Alfa Romeo 8C 2300 Monza sold for US $6.7 million, putting these cars out of the reach of all but a few. However, the dream of owning an 8C is com-ing closer by the day for one Kiwi shed-owner as he builds authentic replicas of this most famous of cars. 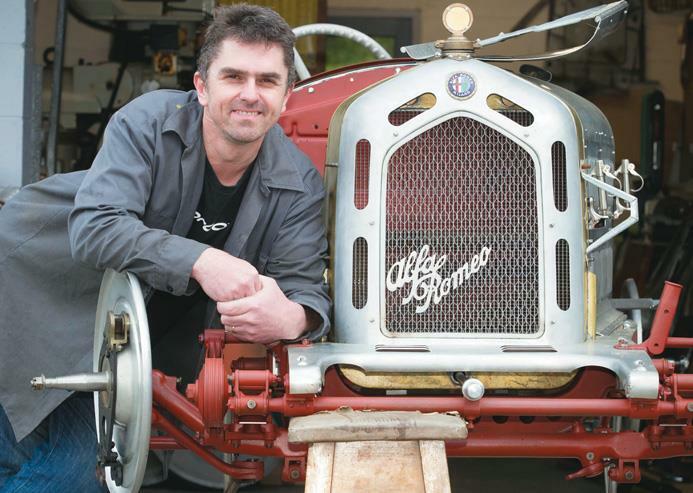 Colin Howard’s dream has turned into a passion and then into a business as people from around the world have dis-covered the quietly spoken Kiwi’s ability to faithfully repro-duce parts for them. 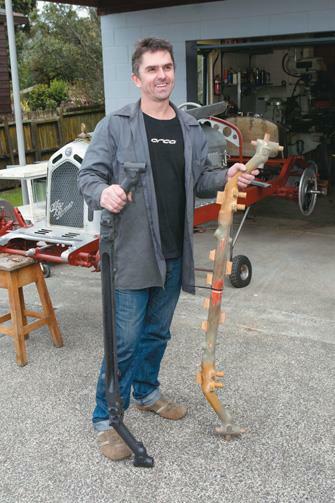 Colin started his working life as a mechanic in West Auckland, getting a taste for old machinery after helping his father rebuild his racing BSA motorcycles. After working for Phil Kerr at McLaren cars in the 1980s he left for his OE and landed a job with Paul Grist at Traction Seabert in the UK. The company specialised in the maintenance and restoration of vintage race cars such as Bugatti, Maserati, Dela-haye, Lagonda and Jaguar. As a mechanic, Colin often accompanied the owners to race meetings, sometimes driving the cars across Eu-rope to race meetings. A memorable drive in an 8C to a hill climb at Klausen Pass in Switzerland sealed his enduring passion for the Alfa and started his lifetime ambition to own one. After ﬁve years in the UK, Colin re-turned to New Zealand with his ﬁ-ancé and a few bits and pieces picked up from swap meets. He spent a year working for Gulf Motorbodies before embarking on a four-year degree in design. 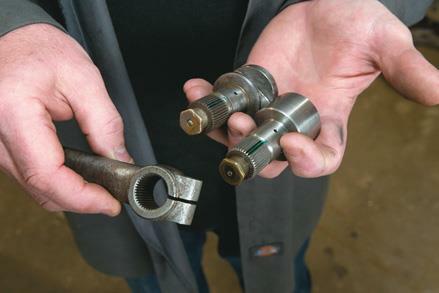 Following his graduation in 2005, he started fabricating bits for the car. He used his contacts to get 8C owners to order enough bits to make production viable, starting on stub axles, steering arms and fuel ﬁlters. One day, out of the blue, he got a call from an Ameri-can who placed an order for a large number of parts. 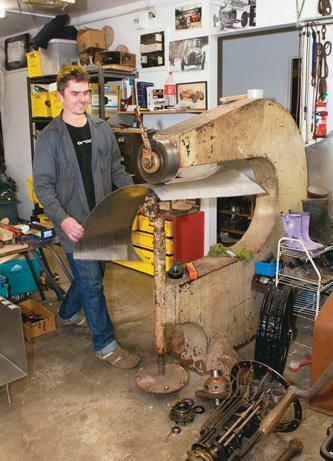 Having a bulk order helped Colin fund the cost of making patterns and tooling. He is currently working on his ﬁfth car for an over-seas client. This one will have a body and will be the most complete one he has done yet, with the engine and the gearbox. Although others around the world are building 8C replicas, Colin’s reputation for detail and authenticity means that the parts he makes are accepted by owners of original cars to replace parts no longer available. 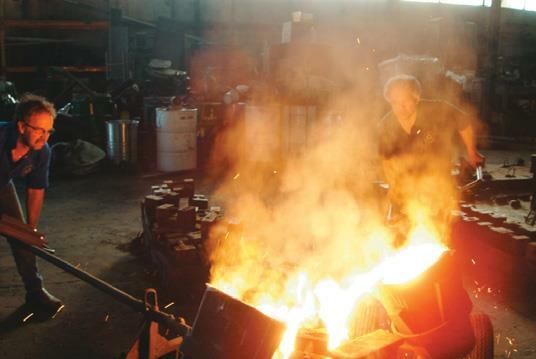 For example , original forging marks are in-cluded in the castings he has made. He shows me a detail on the ﬁrewall of his latest project. Colin’s “home-made” 40-spline cams and levers that activate and spread the brake shoes. 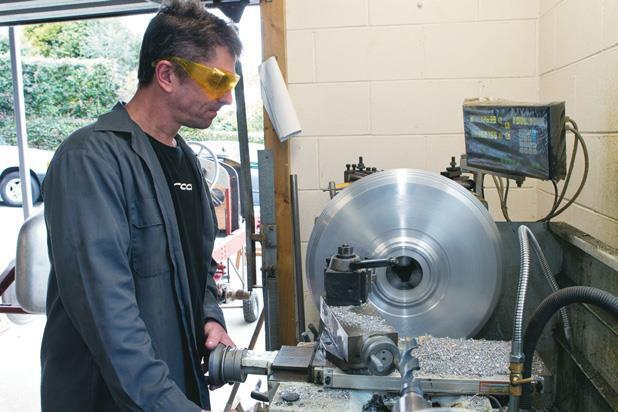 He is working on a press tool to fabricate the chassis members in one piece and another tool to form the pressed-steel housing for the differential. The cast steel, front-axle beam was a challenge. He made the pattern himself but even with the help of a metallurgist and foundry consultant, it took 16 castings before he got a good one. The car, even without the yet-to-be made bodywork, is a work of art. Everything has been engineered with both style and speed in mind. 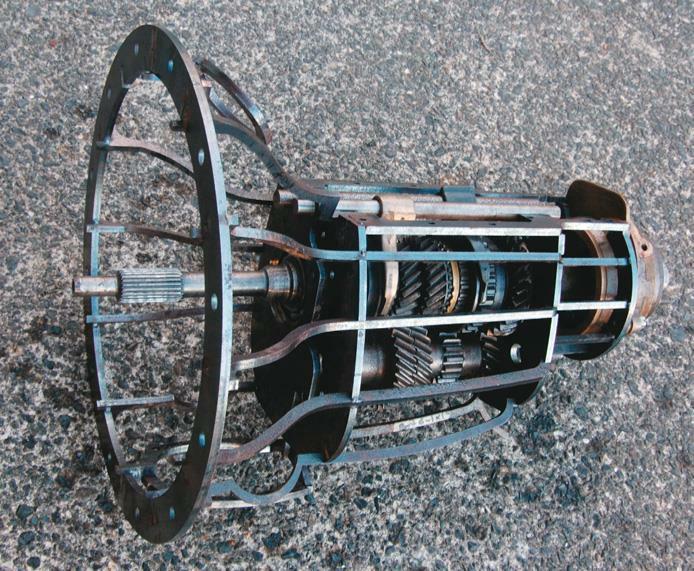 The bonnet catches that Colin has reproduced from the originals are a rack-and-pinion design of 18 pieces rather than a simple spring and hook. His work is always this search for perfection, the drive for satisfaction in having the work done so that it’s faultless, a true presentation of the classic car he is building. 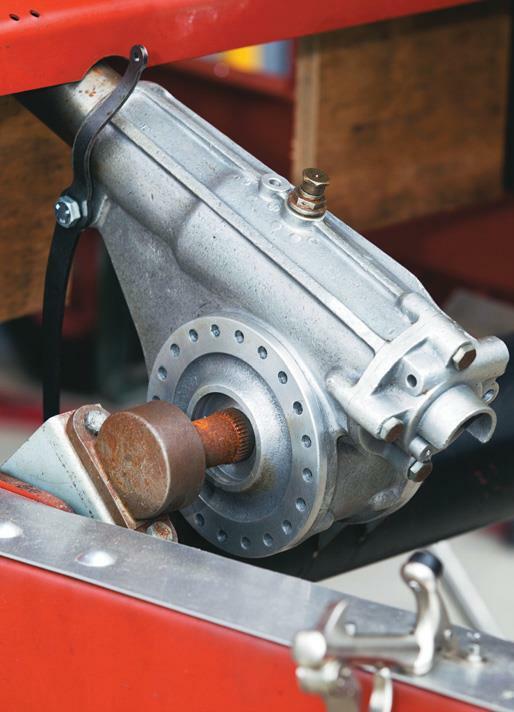 A 40-spline ﬁtting for cams and levers that activate and spread the brake shoes ﬁtted but not exactly, so Colin re-made all the splines himself. 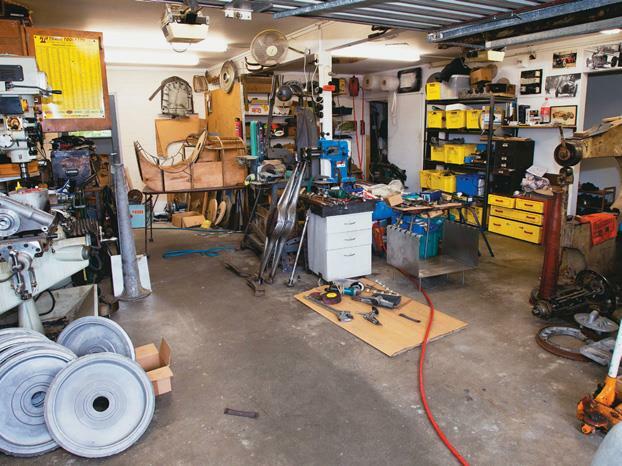 All this work has been produced in the garage under Colin’s house. The workshop includes a lathe and Bridgeport-style mill. They are three-phase, run off the single-phase domes-tic supply via a converter. On the lathe, Colin machined the ﬁrst brake drum and then had the others CNC-machined and cast. “It’s a complicated construction on the Alfa Rome,” he says. 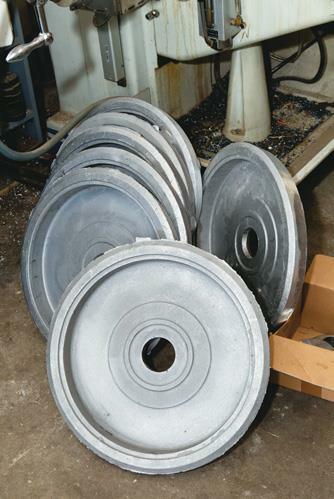 The brake drums are ﬁnned aluminium outers with a cast-iron liner that is an interference ﬁt. The liner is screwed to the aluminium with 16 x 8 mm screws. He shows me a bonnet hinge he has made out of aluminium, using the press to roll the alloy over the hinge pin. “You can buy brass hinges but hey weigh about three times as much, and I wasn’t happy with that.” He has formed the bonnet louvres and many other bits on the ﬂy-press using simple tools he has made. Although the Alfa 8C is his main interest he also uses his skills to designing architectural hardware and make parts for other cars. In the lathe is a casting pattern he is constructing from poly-urethane foam for a Delahaye differential housing. Lying on the ﬂoor is another project he has been working on, ﬁtting mod-ern Quaif gears inside an 8C gearbox housing. Colin has reproduced the dimensions of the original Alfa four-speed gearbox out of strips of steel, allowing him to see where to place bear-ing mounts and make sure everything works before committing to making the casting patterns. Colin sometimes receives orders from overseas consisting of a rough sketch or a photo with dimensions scribbled on it. From there he draws it in CAD, making sure the critical dimensions are right before starting manufacture. While the car may be from the 1930s, many of the production methods are not. Colin gets parts rapid-prototyped laser-cut and CNC-machined for accuracy. 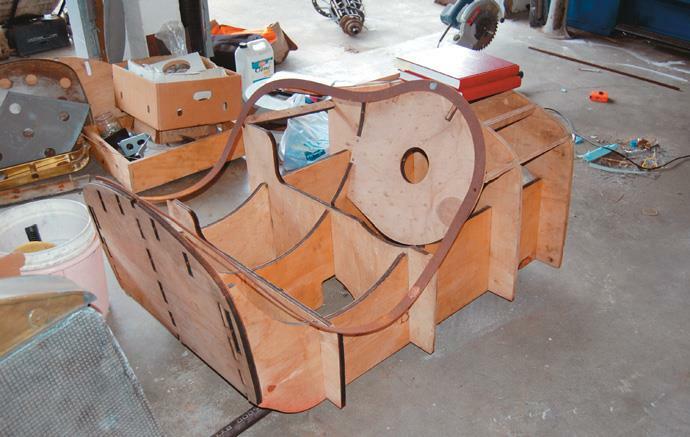 For example, the buck that will be used to form the bodywork was drawn on CAD and laser-cut from plywood. Although not the traditional way, it is a huge timesaver for a one-man factory and eliminated any inaccuracies. Colin’s partner Jane is fully supportive of his business and does the accounts. They have two daughters aged eight and ten. Having a family makes sure that his passion does not become an all-consuming obsession. Colin’s dream car is still a way off. His current car is heading overseas when ﬁnished and many of the bits he has made and put aside for his own car keep getting sold. Although he has the dies and patterns to now produce almost all of the chassis parts, there is also the matter of coming up with the £100,000 ($NZ205,000) or so to purchase a reproduction 8C engine from the UK. Colin is not daunted by the challenges ahead. He is conﬁdent that one day he will be able to have an Alfa to call his own. In the meantime, he’s perfecting his skills doing what he loves. It was a Golden Age for the Alfa Romeo 8C in the 1930s when the model was a regular winner in the classics Florio Targa, 24 Hours of Le Mans, grand prix at Monza and the Mille Miglia. The Mille Miglia (“thousand miles” or around 1600 km) event was set up to support Italian motor sport, car manufacture and the motor racing interests of Brescia under challenge from Monza and Milan. Alfa Romeo cars won this classic 11 times between 1927 and 1947 (there was a war-time break from 1940 to 1947) with the powerful 8C the victor in seven of those. While the route varied occasionally, a typical circuit from a start in Brescia in northern Italy described the outline of a ﬁgure “8” through Parma, Bologna and Florence down to Rome, across to the east coast at Ancona, back to Bologna and then to a ﬁnish in Treviso or Veneto, north of Venice. A legendary story from the 1930 4th Edition of the race involves two-time winner Tazio Nuvolari who trailed his arch rival Achille Varzi through the night and just before dawn turned out his headlights. In the dark, he crept up on Varzi unawares. As Nuvolari passed his shocked opponent, he switched on his headlights and went on to win the race. On show. 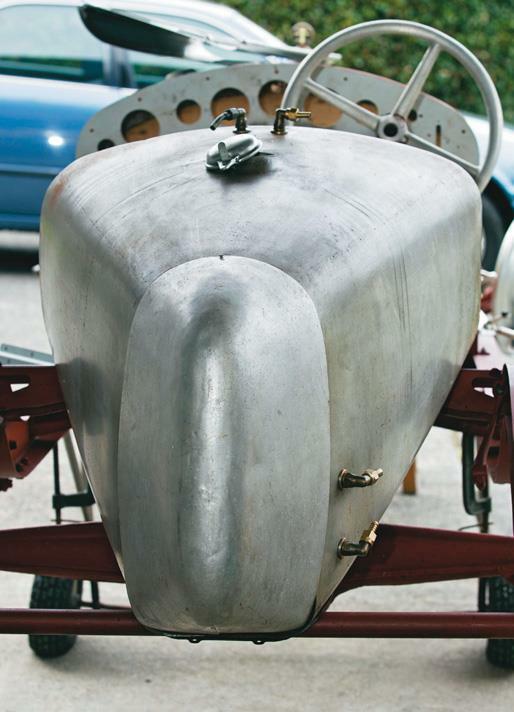 Rear panel work of a 1932 8C Monza. 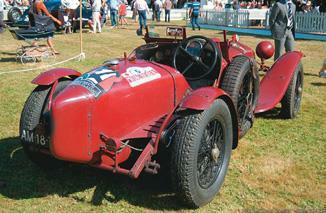 The 1933 Alfa Romeo 2300 8C Monza which sold for $US6.7 million last year. The straight-eight, 2.3 litre powerhouse of the 8C sports racer.